Rob Thomas Needs His Fans Help! Attention fans! 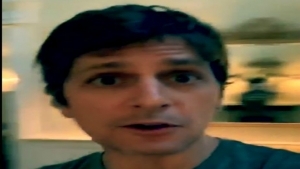 Rob Thomas wants your help for his fan music video for his new song One Less Day. Rob requests that his fans and listeners to send in videos of themselves living their best life. The deadline to submit your videos will be April 12th. Make sure you send in your videos soon! Here is the link for fans to upload their vids — DEADLINE IS APRIL 12!